The OS‑361 is a ceiling mount occupancy sensor for automatic operation control of HVAC and lighting devices. 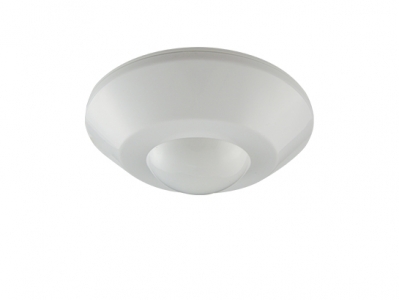 This sensor provides 360° omni‑directional occupancy detection of individual rooms or open areas. Its slim and elegant appearance matches with various styles of interior decorations.